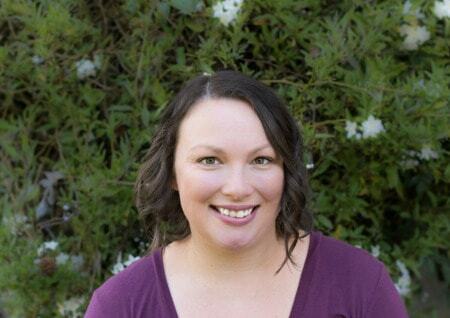 February 8, 2017 By Aileen 2 Comments This post contains affiliate links. As an Amazon Associate and member of other affiliate programs, I earn from qualifying purchases. 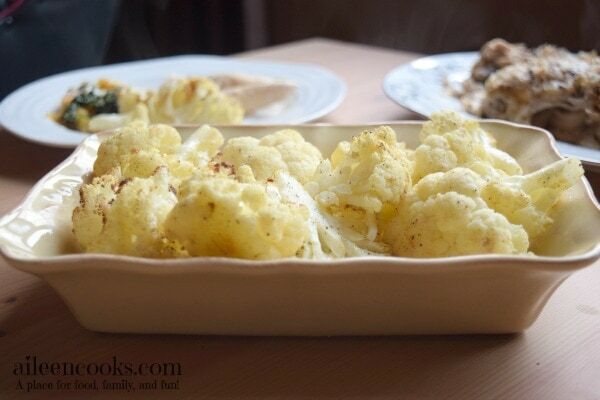 This recipe for spiced roasted cauliflower is an easy dish that makes eating vegetables fun! 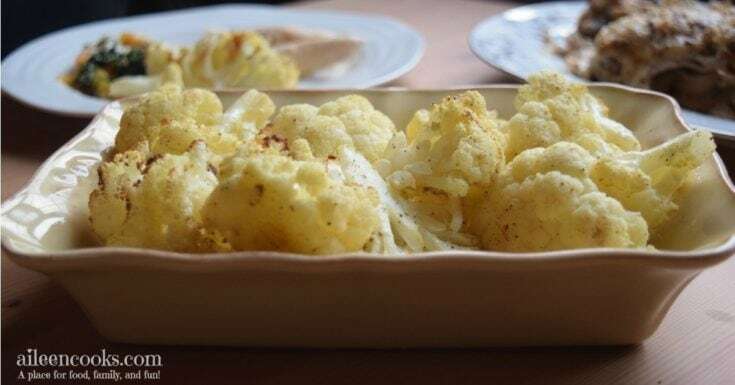 Roasting cauliflower deepens and sweetens the flavor. it is an incredibly kid-friendly way to offer more fresh vegetables to your kids. 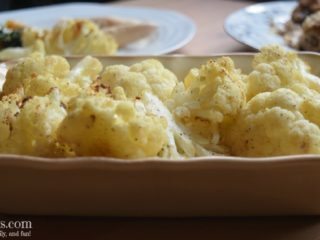 If you or your family aren’t fans of traditional steamed cauliflower, than this recipe is for you! I know first hand because my husband did not like cauliflower until he tried it roasted. Now he gobbles it up every time I make it. So does my daughter, the meat eater. In fact, the last time I made this recipe, she ate only cauliflower for dinner. I’m all for encouraging balanced meals, but I would call that a mommy win. 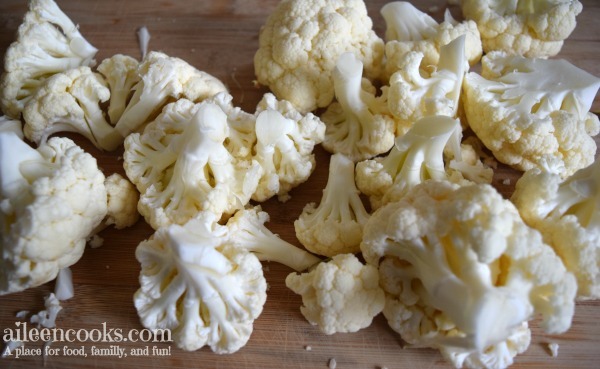 To make the roasted cauliflower, start by washing and cutting up your cauliflower into florets. Toss with olive oil and spices. 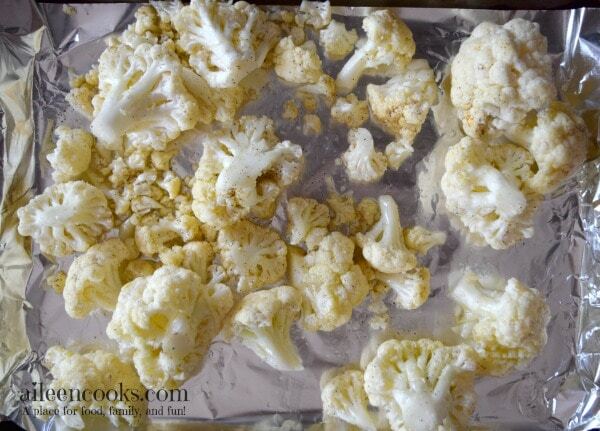 Spread the cauliflower onto a cookie sheet. Roast for 20-25 minutes and enjoy your healthy side dish! Enjoy eating your vegetables with this flavorful spiced roasted cauliflower dish. Line a cookie sheet with foil or parchment paper and set aside. 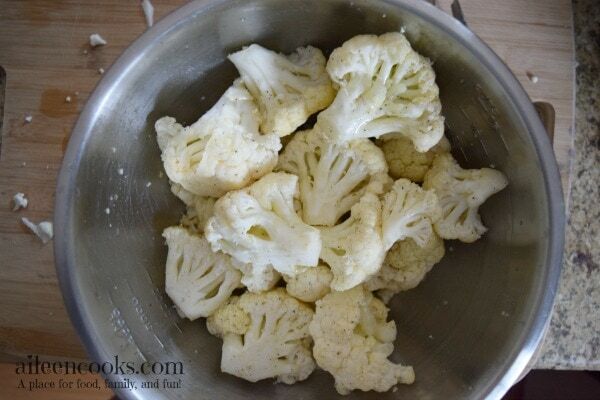 In a large bowl, toss the cauliflower, olive oil and spices until evenly coated. Roast for 20-25 minutes, stir half way through. 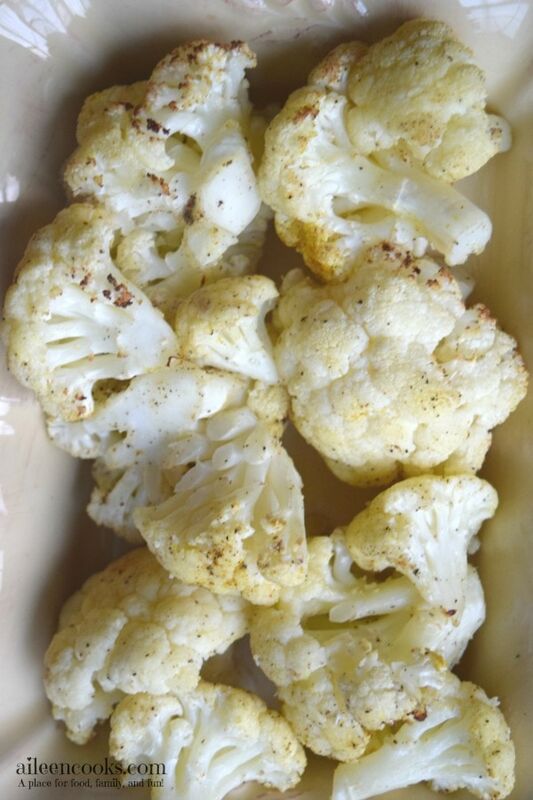 Spiced roasted cauliflower is done when it is fork tender and begins to brown.